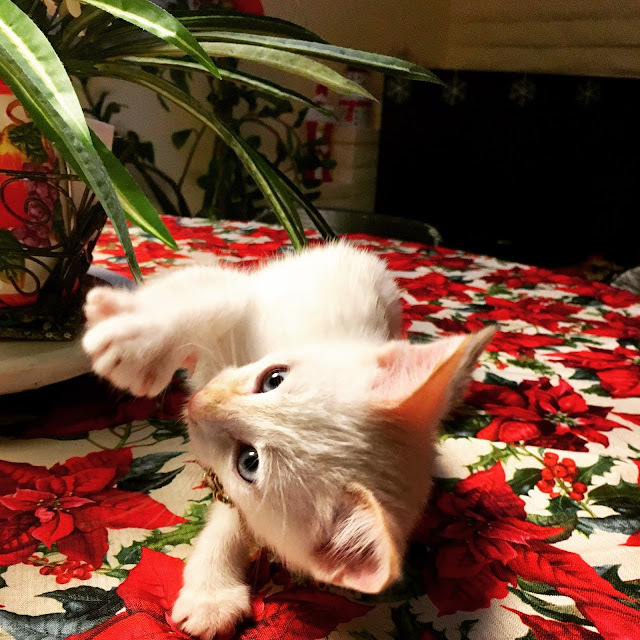 Blue, enjoying a roll in the poinsettias. Christmas Paws. What a sweetie.